Soviet culture permeated Central Asian far more than that of Tsarist Russia. While the main objective of the Russians was to bring Central Asia under their control in order to thwart the English in the Great Game and thereby secure their position in the region, the Soviets set out to control the very lives of the “Peoples of the East”. 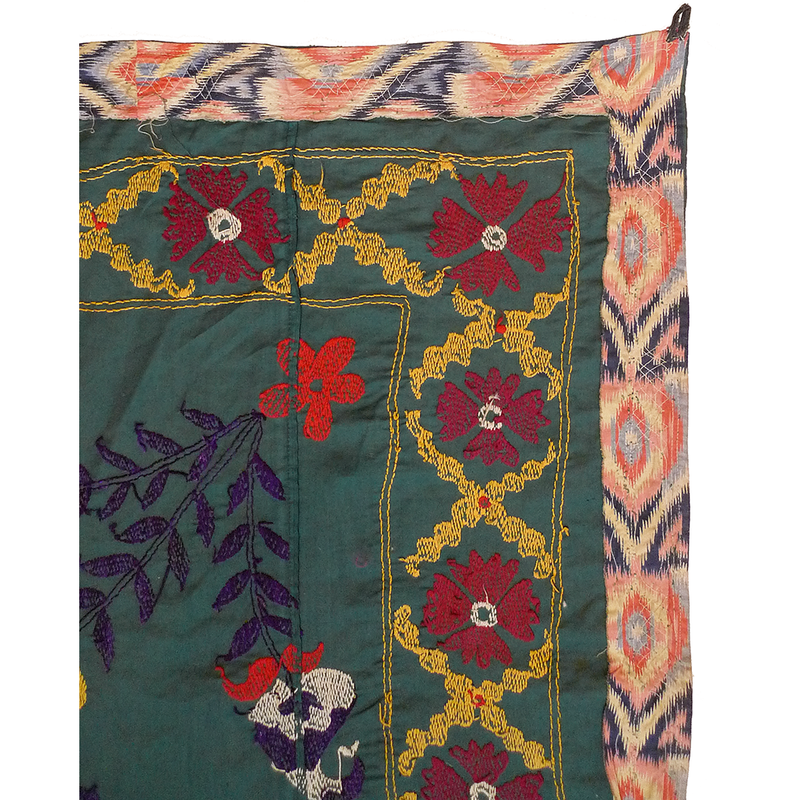 Soon Soviet five-pointed stars; hammer and sickles; political slogans; and portraits of Lenin and Stalin were being embroidered on suzanis and skullcaps. 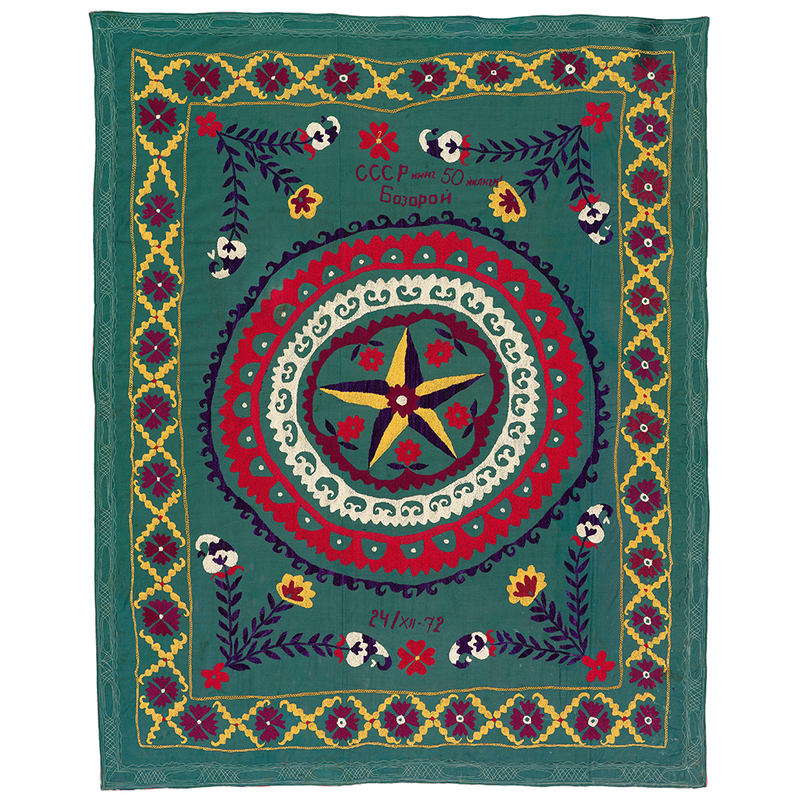 This suzani has a variation of the 5-pointed star and the date 1972 (12/24/72) embroidered on it along with Cyrillic letters that spell out – “CCCP (SSSR) 50 Years”. Underneath is the proper name, “BOZOROI”. The archival photograph ( 2nd quarter 20th century) is by the renowned photographer, Max Penson. 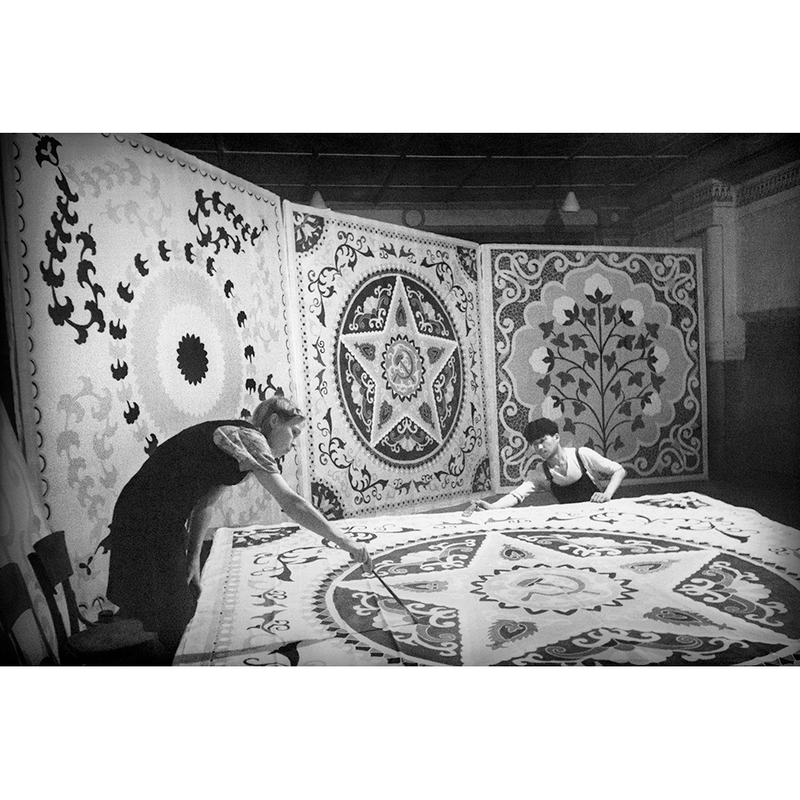 It shows artists in an Uzbek workshop painting large fabric panels with Soviet symbols.